Palm Beach Day Academy's annual school magazine. 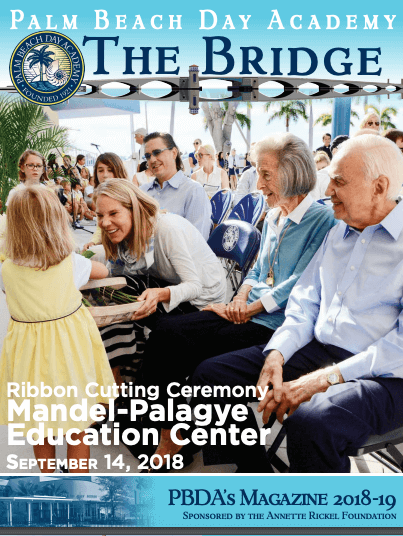 We wish to thank the 2018-19 Palm Beach Day Academy corporate sponsors for the support that made The Bridge magazine possible. To read the magazine PDF, please click on the image below. For additional details on the PBDA Corporate Sponsorship program, please click here. If you wish to receive a printed version of the magazine, please contact Pam Ha-Stevenson (phastevenson@pbday.org).